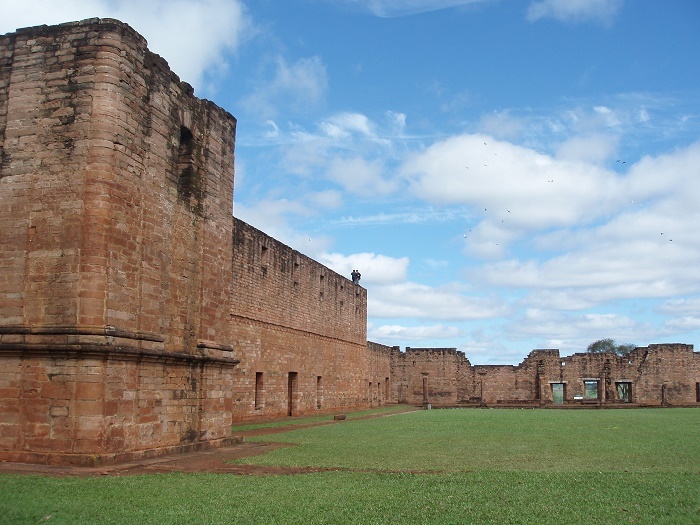 Jesús de Tavarangue was a former settlement for indigenous people in South America, known as Jesuit reduction, located in today’s region Itapua, Paraguay. 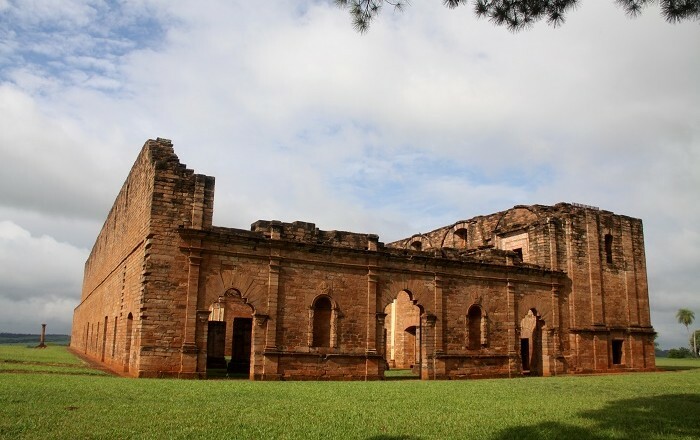 Most commonly they are referred to as the Ruins of Jesús de Tavarangue since everything what has been left is actually ruins that bear witness of the Spanish colonialism. 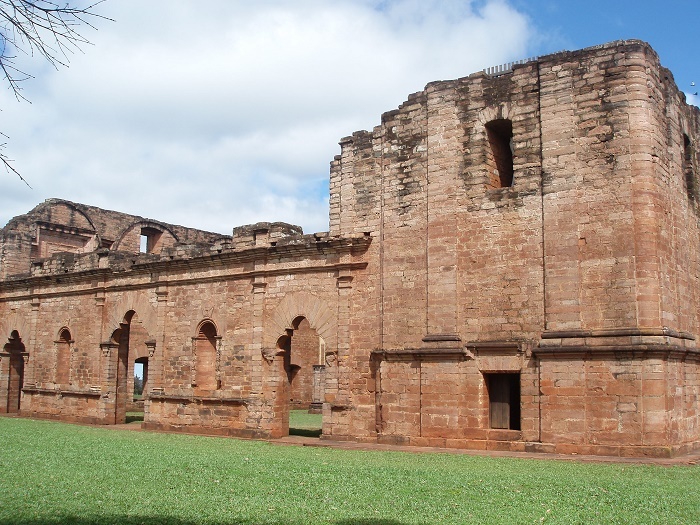 The Reduction of Jesús was initially founded in today’s region of Paraguay, Alto Parana, around 1685 near the Monday river. 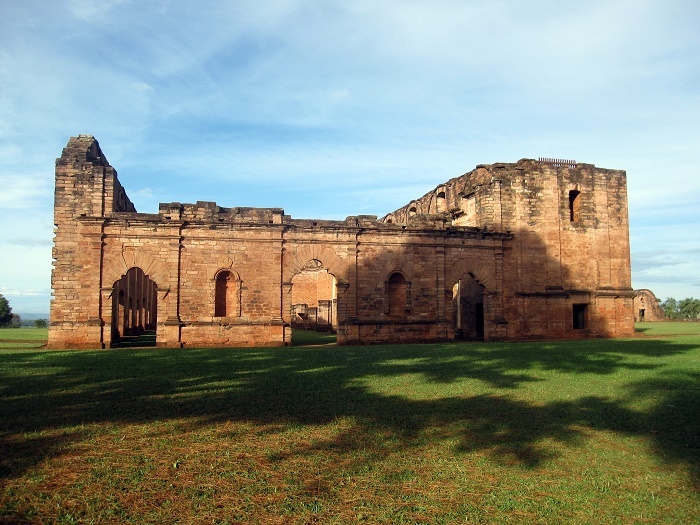 Few years later, around 1760, the reduction has been moved to its present location. 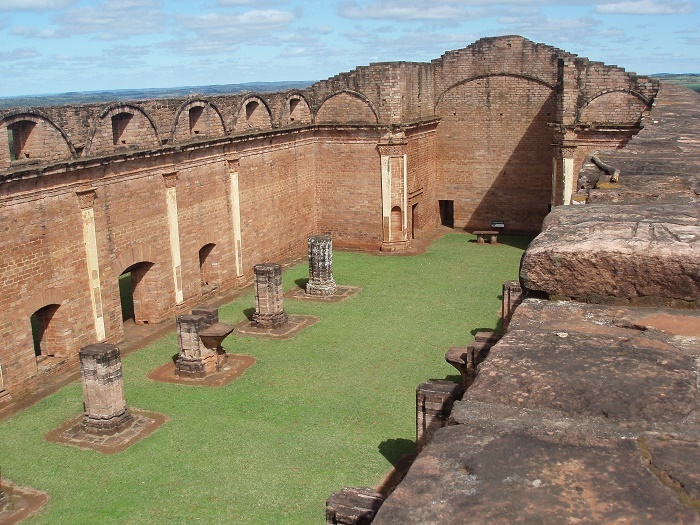 Nevertheless, the construction of the reduction was not completed by the time the Jesuit order was expelled in 1767 from Paraguay. 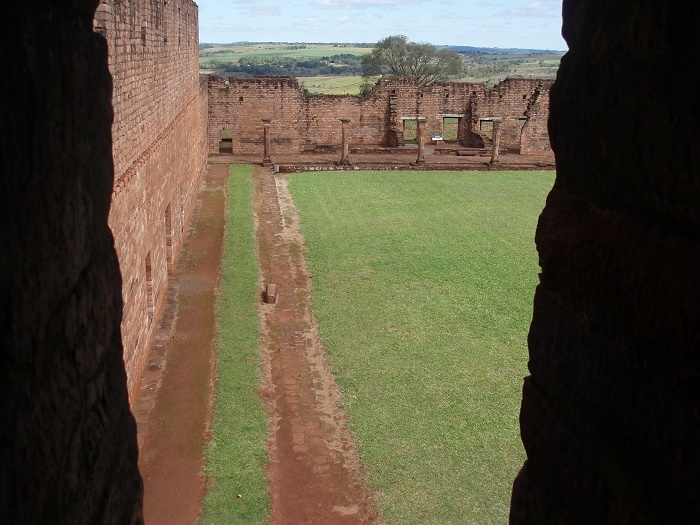 It consisted of the church (which remained unfinished), the Major Square, the school attached to the church of which only one room survives, and houses for orphans and widows known as Coty Guazú or Great House. The mission also had an orchard for priests. 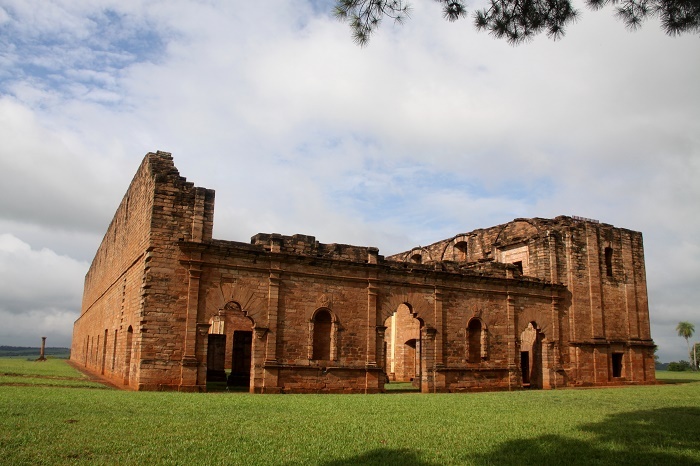 The massive church, on other hand, was being built as a replica of the Church of Saint Ignatius of Loyola at Campus Martius in Rome, Italy, and it would have been one of the biggest churches of that time, with a central structure of 70 by 24 metres (230 by 79 feet). 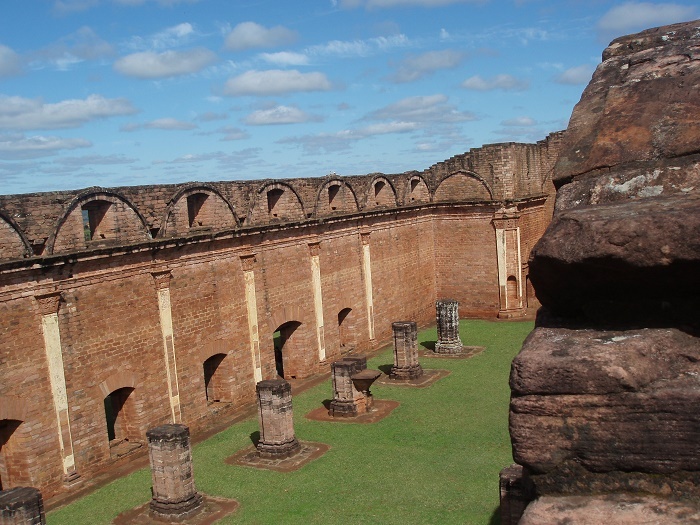 Due to its uniqueness, this Jesuit reduction was inscribed on the UNESCO World Heritage list in 1993. 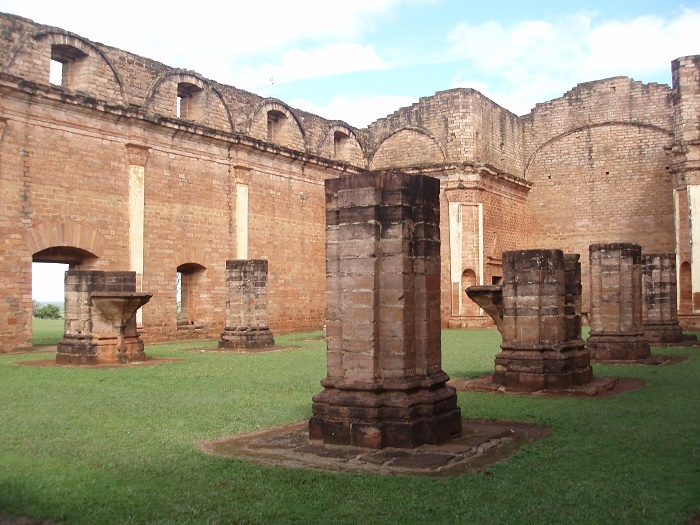 Jesús de Tavarangue as an architectural expression is characterized by the combination of architectural styles. The Mudéjar (Christian-Arab) style is especially reflected with the use of the trefoil arch. 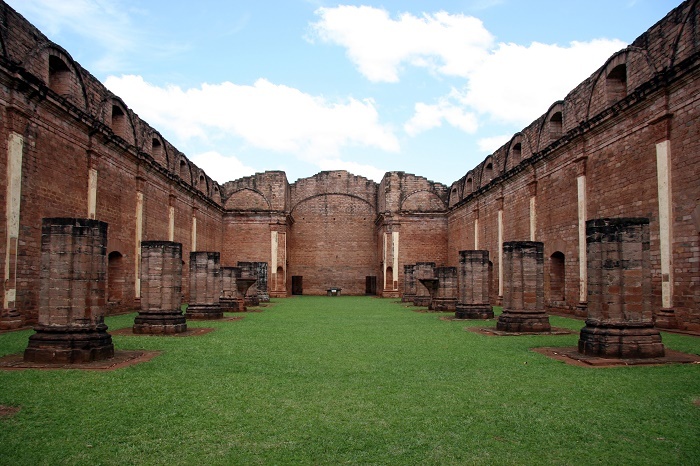 There are no other architectural examples of this style, from the Jesuit era, in the region that formerly constituted the Province of Paraguay or Paracuaria. Truly a masterpiece of its time.